Fun card—and I like your exhortation at the end to send a card to someone who needs encouragement. Often I hear (sometimes weeks later) that a card arrived at just the right moment or that something I wrote was important to that person. Letters/cards seem to be a dying art these days. I think of them as therapy, in that I get as much out of creating them/writing them as the recipient does. Gorgeous card and love the use of a limited colour palette. Thank you so much for showing Sandy. Love this card. I’m getting to the age it seems so many people I know have health issues. I’ve needed a cute card to send. This fits the bill. Thanks! I believe I may have fallen in serious like with brown bears too. I adore this card! 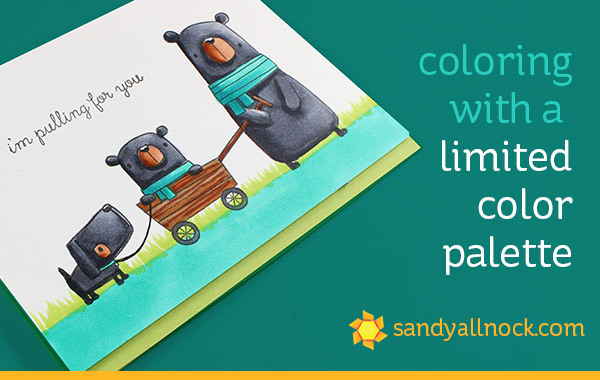 Such a sweet card, just right for someone who needs a little encouragement. 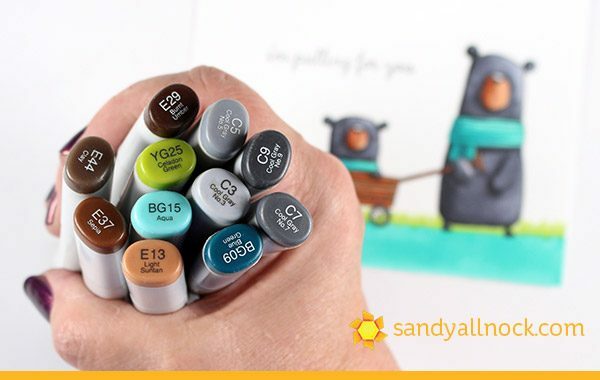 I like the idea of the limited color palette, and yours is perfect. Sweet card Sandy. Great idea and as usual perfect execution. Thanks for sharing with us. Love the concept of clean & minimal…With which I have a hard time! You used an ultra-cute stamp set, & it portrays the message perfectly. Love it! 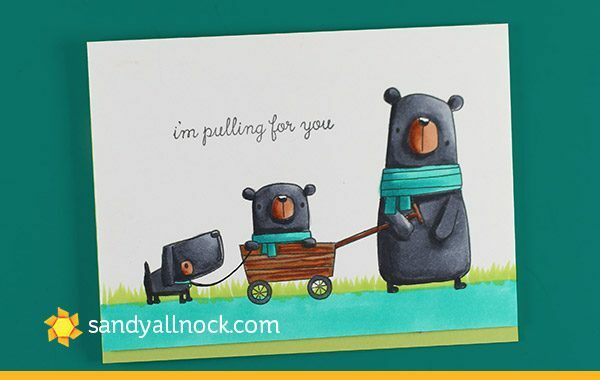 This card is cute and funny – even tho the message is kinda serious. Sometimes a laugh or even a smile can be “just what the doctor ordered”! Love the clean and simple lines, and color palette. You have a way of hitting all the right notes! I agree! Very clean and simple yet still so very cute.